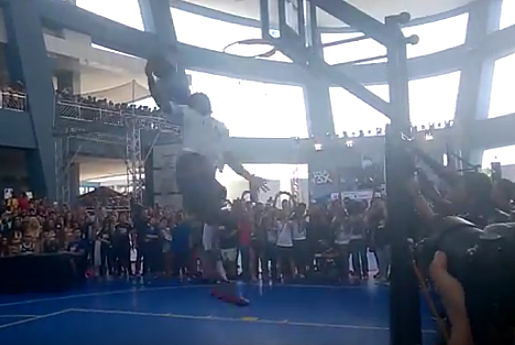 Watch Kenneth Faried's Between The Legs Dunk During NBA 3X Philippines in MOA Music Hall: Video Here! The Manimal Kenneth Faried got the crowed pumped up during the NBA 3X Philippines festivities in the Mall of Asia Music Hall over the weekend after throwing down a nasty between the legs dunk. Watch it below.